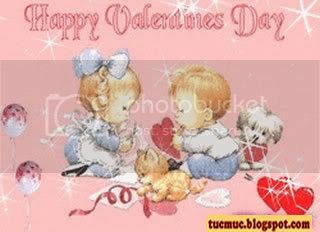 The Valentine's Day is most closely associated with the mutual exchange of love notes in the form of "valentines." Modern Valentine symbols include the heart-shaped outline and the figure of the winged Cupid. Since the 19th century, handwritten notes have largely given way to mass-produced greeting cards. It's the love that goes through the hardest trials and survives that's worth having. I was afraid. Of getting hurt in other ways. To be truthful, I still am.